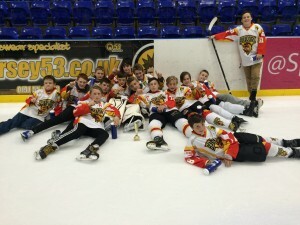 Bradford Bulldogs show their teeth, again! 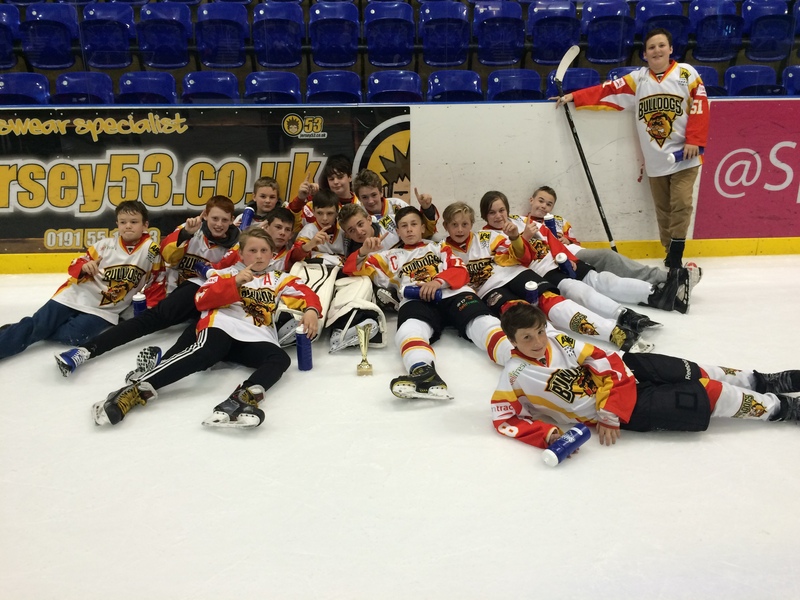 The U14 Bradford Bulldogs Ice Hockey Team have cemented their season with triumph at the prestigious Sheffield Tournament, shortly after being crowned English National Champions. Seven elite junior teams from England, Scotland and Wales all competed in this high profile annual event. In the qualifying rounds, Bradford secured robust wins against Milton Keynes, Kilmarnock and Nottingham. The other teams proved more challenging adversaries. However, nail biting victories against Cardiff and Swindon and a 5-5 draw against Bradford’s arch-rivals, Sheffield Stormers, assured their place in the final against the Stormers. Players from both sides were demonstrably weathered from the long weekend and the final proved to be a true battle of the strongest. When the buzzer sounded to conclude the match, Bradford celebrated their 3-0 victory in style. The tournament concludes a fantastic season for the Bradford Bulldogs and the Club is currently looking to recruit new players aged five upwards to join them and help continue the success they have had. ← Having your Dundee cake and eating it!! !